No, it’s not a post-apocalyptic scene from one of Cinderella’s nightmares. 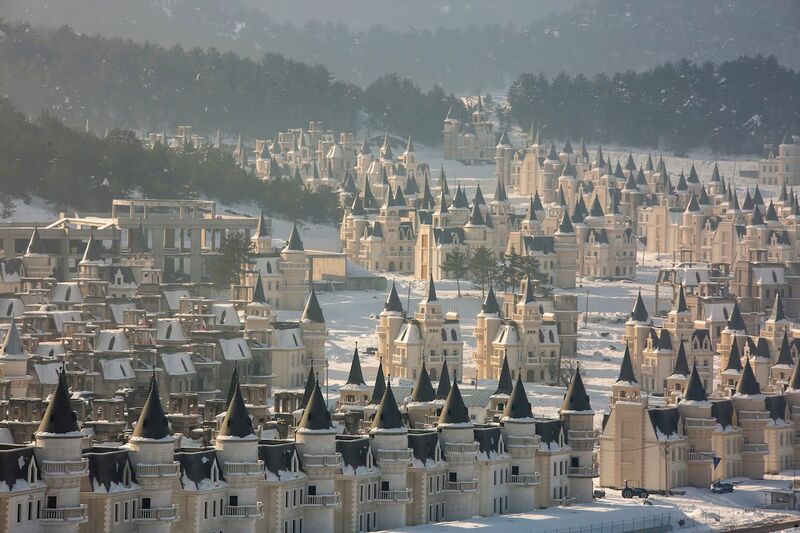 This town of 587 identical, castle-like houses located near Mudurnu, a town only 150 miles east of Istanbul, Turkey, actually exists. Originally intended to be a luxury housing development for wealthy Gulf tourists, the Burj Al Babas complex was supposed to include a total of 732 French-style chateaux, along with a shopping center, Turkish baths, cinemas, and sporting facilities. Construction started in 2014 and halted in 2018 after developer Sarot Property Group went bankrupt. Each house is said to be worth between $400,000 and $500,000 — only a few of the castle-like homes were sold and investors have pulled out. It’s unclear when, or if, the remainder of the eerie complex will be finished.